Hyperbaric Oxygen Therapy ( HBOT ) is the standard of care treatment for traumatic brain injury ( TBI ) / military blast injury in Israel. The citizens and the military in Israel have been exposed to blast after blast explosion throughout their history, and they recognize the nature and effects of that blast exposure. Their standard of care treatment is a combination of biological intervention (HBOT and nutrients) and interdisciplinary rehabilitation including cognitive therapy with individuals, groups, peer groups and computer labs. They conclude that the combination of therapies is the most cost and time effective way for bringing the patients back to their normal lives. I have been corresponding with Dr. Shai Efrati who is the Director of The Sagol Center for Hyperbaric Medicine and Research. His center treats 120 patients a day. Initial screening includes a Brain SPECT scan and Brain perfusion MRI with DTI as well as neurological and neurocognitive evaluation. Patients with concussion have a 3 month treatment protocol. Their treatment protocol includes 60 daily sessions of hyperbaric oxygen done 5 days a week. In fact American military veterans are traveling to Israel for treatment. Daniel Rona who has fought with the Israeli Defense Force (IDF) as well as the US military states that in Israel “In essence, our mental attitude is that we must take care of ourselves and through that process little Israel has become a blessing for the rest of the world…we treasure our soldiers, young and old. They are our only defenders….no one else will fight our battles. You can imagine that every concussive event will be treated with HBOT !” Chambers can operate around the clock, except on the Sabbath, as needed. Ofer Levy states that “the policy of the IDF is that life has the highest value and they are committed to use any treatment, in any case, to save a life”. Great Success for TBI & PTSD Recovery at Oklahoma’s Patriot Clinics! Public outrage was sparked by mistreatment of veterans at the Phoenix VA Hospital in Phoenix. Problems with medical care of veterans at VA Hospitals were discovered all over the country. We called out for change. We shouted that our military veterans are a priority, and their care is not a place for a budget spending cut. Veterans groups lobbied Congress in Washington, DC to demand change in the system from the top down. But who is walking the walk and actually providing services ? The Patriot Clinics in Oklahoma are unique: they are a shining example of a real response to providing medical care to help treat our military veterans. Based on the scientific medical research of Dr. Paul Harch, the support of the IHMA (International Hyperbaric Medical Association) and the determination of Dr. William Duncan as well as testimonials by veterans who were successfully treated (Major Ben Richards) the lawmakers in the state of Oklahoma acted. The state Senators and members of the House of Representatives voted unanimously in support of SB1604 (The Oklahoma Veterans Traumatic Brain Injury Treatment and Recovery Act), and the governor signed it into law. Patriot Clinics are focused on providing hyperbaric oxygen therapy (HBOT) at no cost to military veterans. Funding for the program is collected through private donations (for example they are doing crowdfunding on Indiegogo). State funds can be recovered through the Veteran Bureau Act of 1921. The clinic is able to treat 5,000 veterans a year with the most successful therapy available. HBOT initiates brain healing and aids in quelling the symptoms of PTSD. More good news? We learned yesterday that the great state of Texas has initiated a bill to promote the same treatment availability to veterans in Texas. The grass roots movement is succeeding. We the people are making a difference! Do you have a psychiatric condition or a TBI ? Military TBI: Don’t get misdiagnosed ! As a neurologist and Traumatic Brain Injury (TBI) specialist, for many years I evaluated military veterans who were still active duty (as an independent practitioner, not at the VA ) for the purpose of “ruling out” TBI. But that is not what happened. Every single soldier I evaluated from the army base had clinical exam findings, symptoms and complaints as well as MRI – DTI finding consistent with TBI but psychiatric diagnoses had been suggested. What is the problem ? There seems to be a pervasive belief that if you were not knocked unconscious for some significant period of time that you cannot possibly have suffered a TBI. This is untrue. In fact the majority of the soldiers that I saw had never lost consciousness, but had been exposed to blast after blast after blast. They often recalled the acute onset of neurological symptoms associated with each blast injury. There is also a belief that if you were not within 150 feet of the blast, that it did not have any effect. Wrong again. If you could feel the explosion, it may have had an impact. Not only the force of the impact but embolization of bubbles may cause injury. And just like in the NFL, more injuries equals worsened brain trauma. Another misconception is that if you have “psychiatric” symptoms, then you have PTSD or some other psychiatric diagnosis rather than the symptoms representing a consequence of your TBI. Psychiatric symptoms arise from brain dysfunction. Psychiatrists prescribe medicine based on descriptions of emotions and behaviors. The unaddressed question is: what is the biological basis for symptoms that are occurring? Concussion causes generalized brain dysfunction, but often there are trauma associated focal areas of the brain that have experienced significant injury. Focal injury causes localized dysfunction. Damage to the frontal lobe of the brain may cause depression, mood instability, lethargy and poor decision making. Damage to the temporal lobes of the brain may cause seizures, poor memory, auditory and visual hallucinations. When did my symptoms begin ? Symptoms due to TBI are typically evident immediately following the physical injury. Was I exposed to any blasts, jolts, blows to the head even stateside during training, that may have had an impact ? Many physical traumas create TBI. Do I have headaches ? Headaches are common with TBI and begin after the physical injury. Am I dizzy ? Loss of balance and a feeling of unsteadiness is a typical symptom of brain injury. Am I tired ? Being tired but unable to sleep is a symptom of diffuse brain injury, although it can also be associated with hyper vigilance. Am I able to read as long as I used to be able to read ? Difficulty with visual fixation ( in order to read a word ) and visual follow ( reading across a line of print ) is a complex integrated function of the brain and is a symptom of diffuse brain injury. Can I remember how to do routine tasks of my life and my job ? Typically a person with primary PTSD is still able to recall how to perform routine tasks. PTSD symptoms typically revolve more closely around an emotionally painful event. Some veterans are said to have “ complex PTSD” and it is likely that those veterans have experienced both kinds of trauma. Classic PTSD symptoms include re- experiencing the distressing event over and over again triggering a strong emotional response; being motivated to avoid situations that will trigger event – related memories and being hyper vigilant. Treatment for TBI is different than treatment for primary PTSD. Make sure you have an accurate diagnosis. If you think you have had a TBI but are being diagnosed with a psychiatric condition: make sure you have a brain SPECT scan or a brain MRI – DTI as part of your evaluation. It is important to be diagnosed with both conditions if both injuries occurred. If both are not treated, true healing will not take place. * Dr Phillip James recently published his book “Oxygen and the Brain The Journey of our Lifetime”. It is available through Best Publishing Company. His book includes a review of the mechanisms of brain healing with hyperbaric oxygen therapy. Carol L Henricks, MD….Behavioral Neurology, Epilepsy,Sleep Disorders, Traumatic Brain Injury & Hyperbaric Medicine. .
Memorial to 22 veterans a day committing suicide to be seen in Tucson September 18 at event in Armory Park and in many cities throughout the U. S.
A blast – brain injury has 2 mechanisms of injury to the brain: the concussive force of the blast and the decompression injury. You don’t need to hit your head or lose consciousness to be injured. Even one concussion brain injury is associated with an increased risk of depression and suicide – but military members are typically exposed to blast after blast after blast. Most of the military veterans I have seen in my office don’t even “count” the more distant blasts they experienced or view repeated blasts experienced in a single day as separate events. Every blast creates injury and the sooner after one injury you are exposed to more injury the worse the cumulative injury. Blast – brain injury injures the whole brain. On a pathological level, the decompression injury causes ischemic lesions (like tiny strokes) all throughout the brain. When this occurs in an elderly person they are clinically diagnosed with Alzheimer’s dementia. The axonal shear component of injury is also a diffuse injury and disconnects the networks in the brain. The networks that perform basic processes such as the cycling between wakefulness and sleep are destroyed. Attention, concentration, short-term memory and executive function (planning) are lost. Emotional control is unstable and unpredictable. Life with a brain injury is a life that feels out of control. It is disorienting and confusing. This cognitive – emotional state triggers suicide. When a psychiatric diagnoses is made medication is prescribed resulting in clinical worsening. Substance abuse also causes clinical worsening. If you don’t diagnose and correctly treat brain injury, there will never be a successful treatment program. Medications do not heal the brain. This is a call – out to all military veterans: if you have been exposed to IED’s, RPG’s and other blasts and concussive forces, be evaluated with a SPECT brain scan, brain MRI – DTI (diffusion tensor imaging) or some other high level technology. Routine brain MRI scans (even with contrast) or head CT scans (even with contrast) are not able to “see” the injury. It is a limitation of technology, not proof that the TBI is not there. There is treatment for this type of brain injury: Hyperbaric Oxygen Therapy (HBOT). The Patriot Clinics, Inc. of Oklahoma and the International Hyperbaric Medical Foundation have championed the cause to set up HBOT treatment facilities in every state. In Oklahoma, the Oklahoma State House, the Oklahoma State Senate and the Governor all signed a bill into law that would create a funding mechanism so that money would be available for their hyperbaric facility to treat all the military veterans in their state. The state of Oklahoma recognizes the connection between brain injury, PTS and suicide and the effective treatment. The goal is to have every state set–up a program for its military veterans so they can be treated at no charge. Military traumatic brain injury and its consequences are at a crisis level. There are HBOT facilities, non – profit organizations and concerned citizens around the country that are prepared to come together and help insure that those who need it are treated. This is a grassroots movement and we the people must rise to the occasion. We must be heroes to our Heroes. Behavioral Neurology, Epilepsy,Sleep Disorders, Traumatic Brain Injury & Hyperbaric Medicine. . I just returned from the 2014 International Hyperbaric Medical Conference with new and powerful insights. My thanks to Dr. Paul Harch and to physiologist Tom Fox for helping to bring to light the mechanism of injury of a TBI as well as the proper treatment. As a neurologist – specialist I have seen many active duty military veterans returning from deployment in my office to assess them for a diagnosis of Traumatic Brain Injury (TBI) or Post Traumatic Stress (PTS). As I go through the interview, many insist that they have not had a TBI because they have never been struck on the head or lost consciousness from a blast explosion. Unfortunately that does not mean that they have not had a TBI, and when I study them with brain MRI – DTI imaging the evidence of injury is present. When you use a high-powered gun / weapon or are exposed to a blast (even from a distance of 150 yards or more) and you feel the impact of that blast you have a potential for injury from that event. The high power pressure wave that is created correlates to the pressure that you would feel if you were deep – sea diving. Quickly following the pressure wave there is a period of time of decreased or hypobaric pressure. This is physiologically like coming to the surface too quickly after a deep dive. So a blast exposure may create symptoms of decompression sickness. Many military veterans have been exposed to explosion after explosion after explosion, and the brain injury is cumulative. 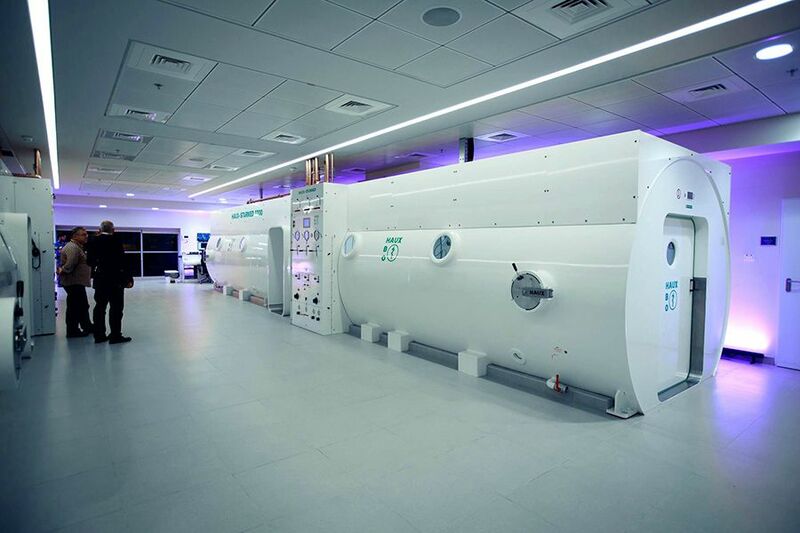 We know the treatment for decompression injury: Hyperbaric Oxygen Therapy (HBOT). This treatment was not offered on the battlefield (despite the possibility of using deployed chambers) and has not been offered as a choice for healing the chronic effects of the TBI. Protective body armor worn by troops may multiply the brain – blast injury. Helmets protect against bullet wounds and flying debris, but they reflect the energy from the pressure wave back from inside the helmet. Even sending injured military by life – flight may compound their injury. If you have decompression injury, one of the most harmful things you can do is to be transported in an airplane at a high altitude. Many severely injured military were transported by air to hospitals in Europe. The more exposure you have to blasts, the closer in time those injuries are, the more injury. Many military warfighters were exposed to blast after blast after blast during the time they were deployed. IED’s. RPG’s. Repeated injury produces more disability. The injury to military veterans is similar to the injury that NFL football players suffer from repeated concussion. In fact, football players suffer repeated TBI injury from repeated impact even if they don’t clash helmets. There is more than one league of denial. Symptoms of TBI have an extensive overlap with symptoms of PTS. If military veterans are not aware of the connection between blast injury and their symptoms, they may be falsely diagnosed with PTS or some other psychiatric condition that does not apply. It is important that all health care providers are aware of the injury associated with blast injury and ask interview questions that will bring that history to light. If we do not know the nature of the injury, we cannot treat. Even one concussion / TBI blast injury increases the risk of suicide. The majority of warfighters have had many assaults. We cannot continue to allow our military veterans to suffer and to take their own life because we do not provide them with effective therapy. 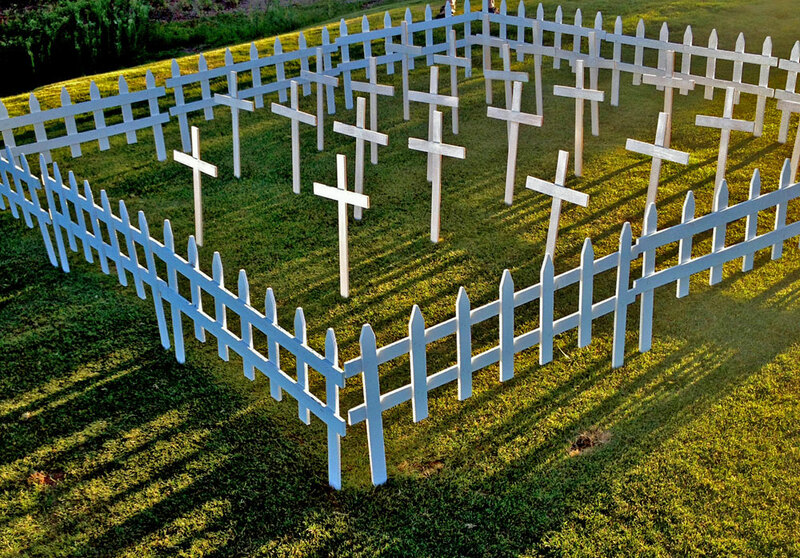 The number of military veterans that take their own life, on average, daily is 22 – 35 or more. That is 8030 – 12,775 a year and is many times more than the number of military members that were lost in combat during the recent conflicts. The use of HBOT for TBI has been extensively documented by Dr. Paul Harch. A treatment protocol of an initial 40 treatments x 1 hour @ 1.5 ata will treat most military veterans with TBI from blast injury. As with all medical therapies, there are no absolute guarantees, more treatments may be needed, nutrition is key and adjunctive therapies may be appropriate for ultimate symptom resolution. It is a national crisis that we need to combat with urgency and effective solutions. Stop Soldier Suicide.